There’s an interesting element to the automotive world that we love to talk about around here. Something that is almost primal and universal about the appeal of cars and trucks to enthusiasts like us and enthusiasts all around the globe. What is it exactly that can take people from wildly different cultures, wildly different backgrounds, different languages, and different knowledge bases, and turn us all in the same smiling brethren? Why does a guy with a vintage hot rod in England have many of the same tastes as a guy with a vintage hot rod in Yonkers? 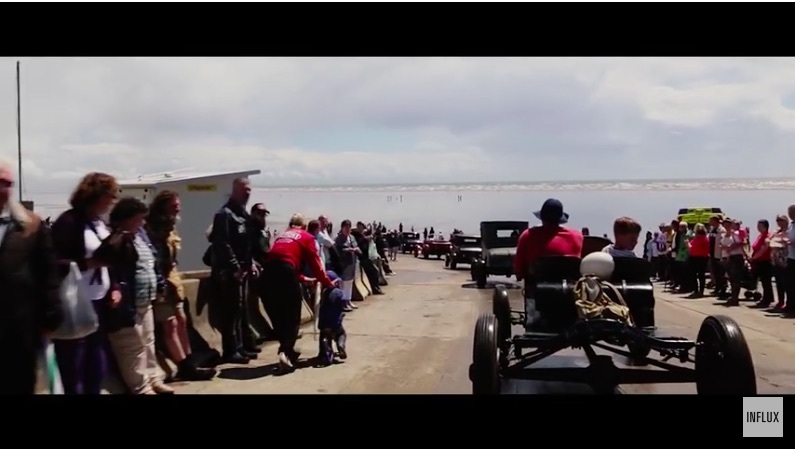 This short video captures what we think is the British version of The Race of Gentlemen events that occue here, celebrating the world of hot rodding before such a term really existed. The cars are old and crude and lacking even for basic technology but they are fascinating in their own right. From their open wheels, their low powdered engines, and their awesome rustic paint jobs, these cars look to recapture things “how they were” 70-80 years ago. They look to give us an authentic experience of traveling back in the past. To give spectators the sights and sounds of competition and to give the drivers the ability to touch the past with the wind in their face. This event looks great, the people look cool, and it looks like it could be held on any beach in the world and until someone spoke you’d have no idea what hot rod country they were in. Pendine is not in England. It’s in Wales. They’re two different countries within the United Kingdom.